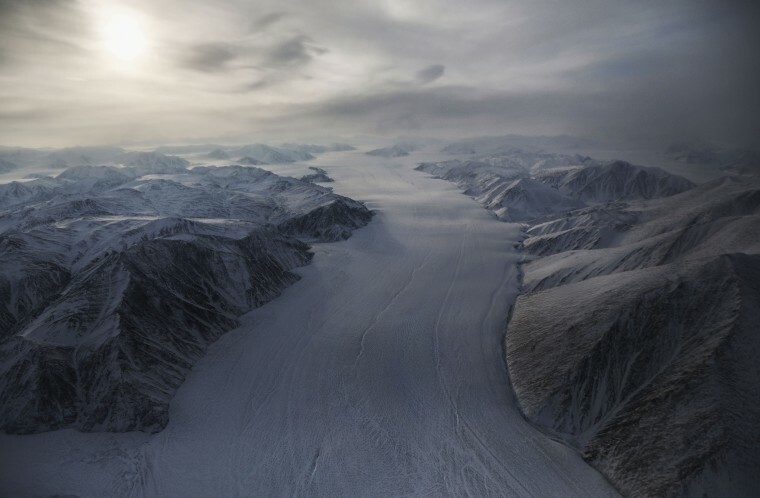 The world's ice is rapidly disappearing, but not without a trace. Ancient artifacts, frozen corpses, long-dead viruses and loads of trapped greenhouse gases are the parting gifts left behind as Earth's melting glaciers and permafrost retreat. And now, thanks to ongoing global research, a new (and concerning) item can be added to that list: nuclear fallout. In a recent survey of glaciers around the world, an international team of scientists discovered elevated levels of fallout radionuclides — radioactive atoms that result from nuclear accidents and weapons tests — in every single glacier studied. The good news is these nuclear contaminants likely pose no immediate threat to the environment, said Clason, who presented the team's findings at the European Geosciences Union (EGU) conference on Wednesday (April 10). However, Clason told Live Science, the contaminants at most sites were found in significantly higher levels than what is considered safe for human ingestion. These contaminants could enter the food chain as glaciers continue to melt into rivers, lakes and seas due to climate change. For their new research, Clason and her colleagues looked for nuclear contaminants in cryoconite, a layer of dark sediment found on the surface of many glaciers around the world. Unlike run-of-the-mill sediments, cryoconite is composed of both inorganic material (like rock minerals) and organic material. The organic parts can include black carbon, or the leftovers from incomplete combustion of fossil fuels; fungus; plant matter; and microbes. This makes cryoconite a very efficient "sponge" for airborne contaminants that fall onto glaciers with snow and rain, Clason said. Even more contaminants accumulate in cryoconite as the climate warms and dirty meltwater sweeps across dying glaciers. The radioactive cryoconite samples came from 17 glaciers spanning locations from Antarctica to the Alps and British Columbia to Arctic Sweden. And these samples didn't just have minor amounts of contamination. "These are some of the highest levels you see outside of nuclear explosion zones," Clason said in her EGU presentation. While some of the detected radionuclides, like lead-210, occur naturally in the environment, two isotopes, in particular, can be traced directly to human nuclear activities. Americium-241, a radioactive isotope that's produced as plutoniumdecays, was found at many of the glacier sites in quantities that could be hazardous to human health if ingested, the team found. Meanwhile, cesium-137, an isotope produced during nuclear explosions, was found at all 17 sites in quantities tens to hundreds of times greater than expected background levels. These nuclear byproducts were most likely deposited by the Chernobyl nuclear power plant explosion of 1986, the researchers said. "People knew that [cesium-137] was in the environment after Chernobyl, but they don't know that glaciers are still releasing this continually, 30 years later," Clason said at EGU. Where they currently sit, these cryoconite contaminants don't pose any known threat to humans or the environment, Clason said. The fear, rather, is that they could pose a threat if they spread through meltwater into rivers and lakes, where grazing animals eat and drink. There is some historical precedent for these concerns. Wild deer, boarand bears in Europe and Asia all exhibited elevated levels of radioactive cesium following the Chernobyl disaster. And as recently as 2016, tens of thousands of reindeer were deemed unfit to eat in Sweden due to similar concerns about cesium radiation. Next, the researchers want to figure out whether nuclear contaminants are binding to minerals in cryoconite or to the organic components, which would make the radionuclides much more readily available for uptake into the food chain, Clason said. In the meantime, add this to your list of winter aphorisms: Don't eat the black snow. "No one's eating the cryoconite," Clason said, "and if they are, I would strongly recommend they don't." This research has yet to appear in a peer-reviewed journal.